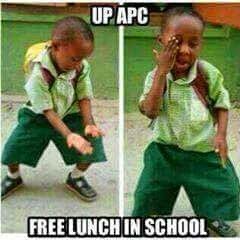 This little boy is celebrating the free meal promise already. May he never be disappointed. Can I hear an Amen to that?